The Diplodocus is a genus of diplodocid sauropod dinosaurs. These were first discovered by S. W. Williston in 1877. 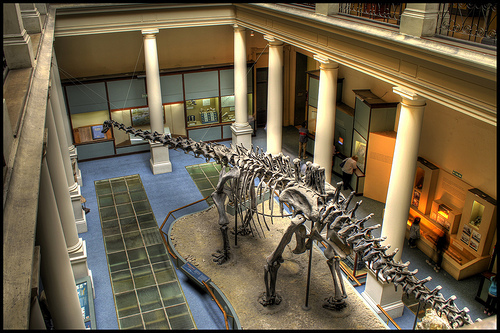 The generic name came from Othniel Charles Marsh who first scientifically described this fossil as Diplodocus which means “double beam” in Neo-Latin. This is in reference to its distinguishing features, which is its double-beamed chevron bones found on the Diplodocus’ tail’s underside. This dinosaur lived during the late Jurassic Period in what is now known as North America. It is actually one of the more commonly found dinosaur fossils in the Upper Morrison Formation. As this area was formerly a marine environment, it was first thought that the Diplodocus was an aquatic creature. However, newer research has found that this dinosaur actually lived on land. The Diplodocus is one of the easiest dinosaurs to identify. In fact, for many years, it was the longest dinosaur known to humankind. It has a classic dinosaur shape with 4 sturdy legs, a long neck with at least 15 vertebrae, and a whip-like long tail. It also had a small skull. As this dinosaur is quite famous, it has been displayed in more areas of the world than any other sauropod dinosaur. 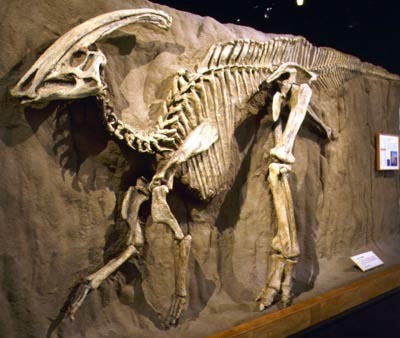 Many of the donations of mounted skeletal casts were donated by Andrew Carnegie, who did a lot to try and educate and/or familiarize people with what was then known as the longest dinosaur fossil ever known. 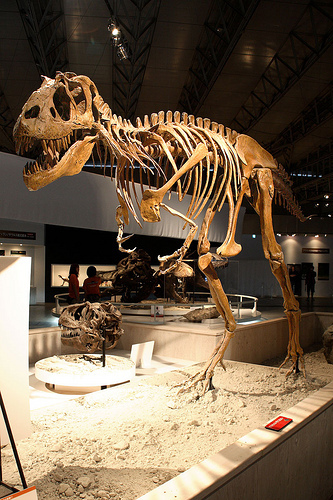 These casts are still shown worldwide, such as at the Houston Museum of Natural Science, the Carnegie Museum or Natural History in Pittsburgh, the Natural History Museum in London, Museum fur Naturkunde in Berlin, the Museum for Paleontology and Geology in Bologna, the Zoological Museum of the Russian Academy of Sciences in St. Petersburn, Museo de Paleontologia in Mexico City, and the Paleontological Museum in Munich. In media, it has been featured since 1914 in Winsor MacKay’s classic short film, Gertie the Dinosaur. 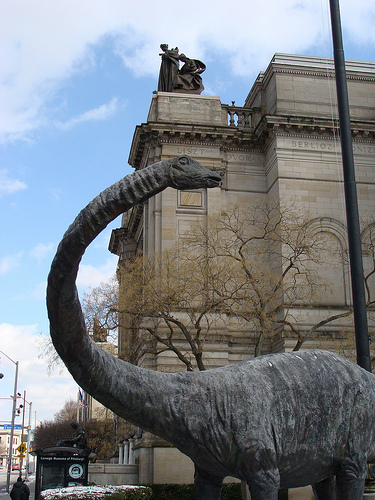 It has also been featured in James A. Michener’s book called Centennial, where an entire chapter was devoted to the Diplodocus.